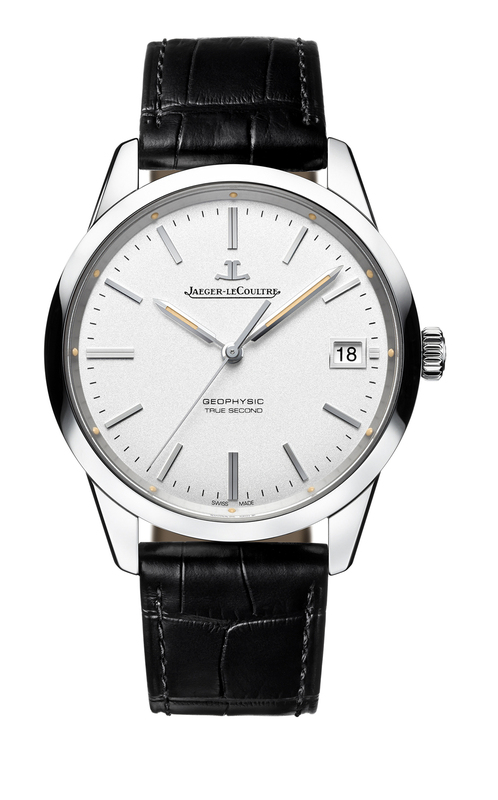 The collection is named after a watch that belongs both to universal history and to the heritage of the Manufacture. 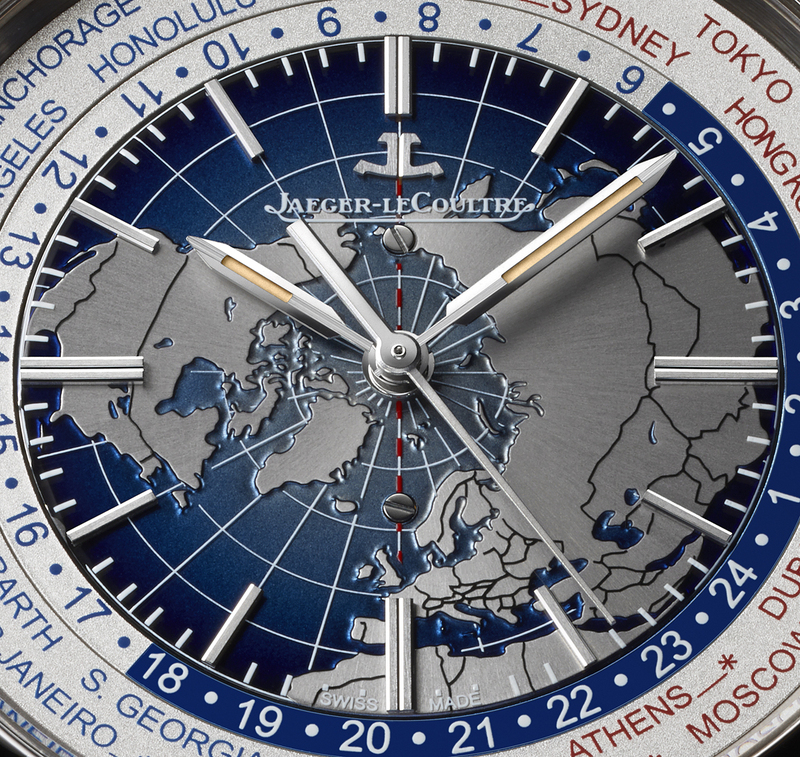 In 1958, the International Geophysical Year, Jaeger-LeCoultre created a chronometer for scientists on mission. Capable of withstanding the magnetic fields of the North Pole while losing nothing of its formidable precision, its overriding characteristic was extreme resistance. The movements driving the Geophysic collection, automatic Jaeger-LeCoultre Calibers 770 and 772, are synonymous with high precision and mechanical beauty. The latter is in this instance expressed by an atypical balance wheel featuring a non-circular configuration that required lengthy research in order to reduce air friction. Named the Gyrolab, this device was initially developed in a laboratory version back in 2007 to equip the Master Compressor Extreme Lab 1 watch. It took eight years to transition from this confidential version to one that could be incorporated into an entire watch line. 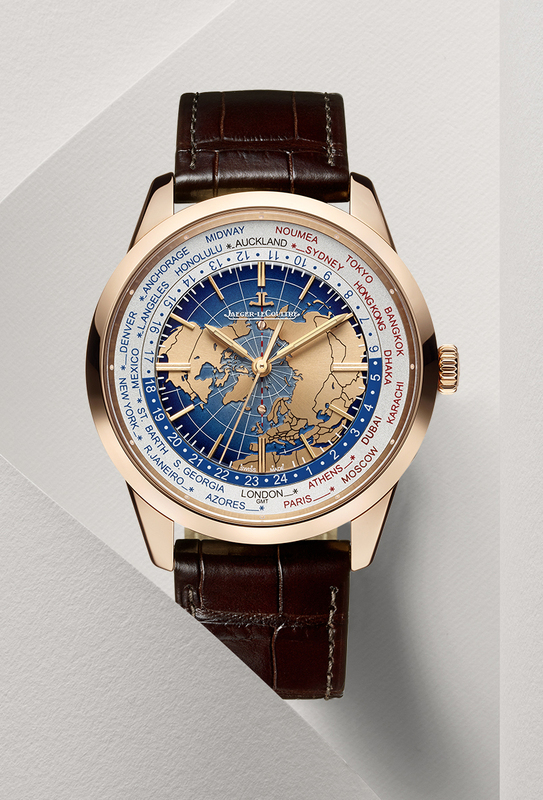 Geophysic is the first collection to enjoy the full benefits of this key breakthrough and its determining influence on the precision of the watch. This precision is also expressed by the true seconds system that causes the seconds hand to move forwards while "beating the second", meaning by performing a jump every second. 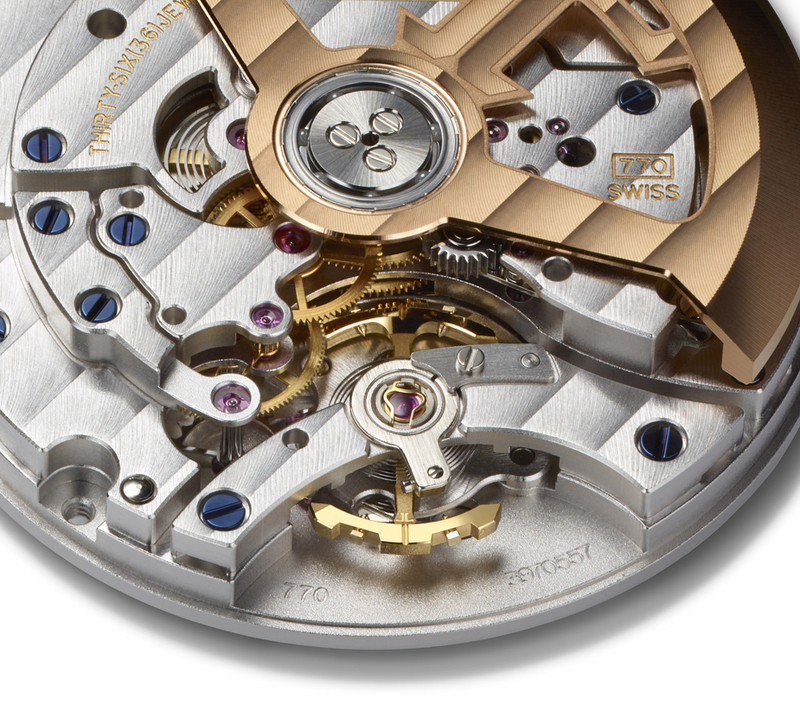 This is no ordinary feat for a mechanical movement, and one that does not disturb the smooth running of the watch. 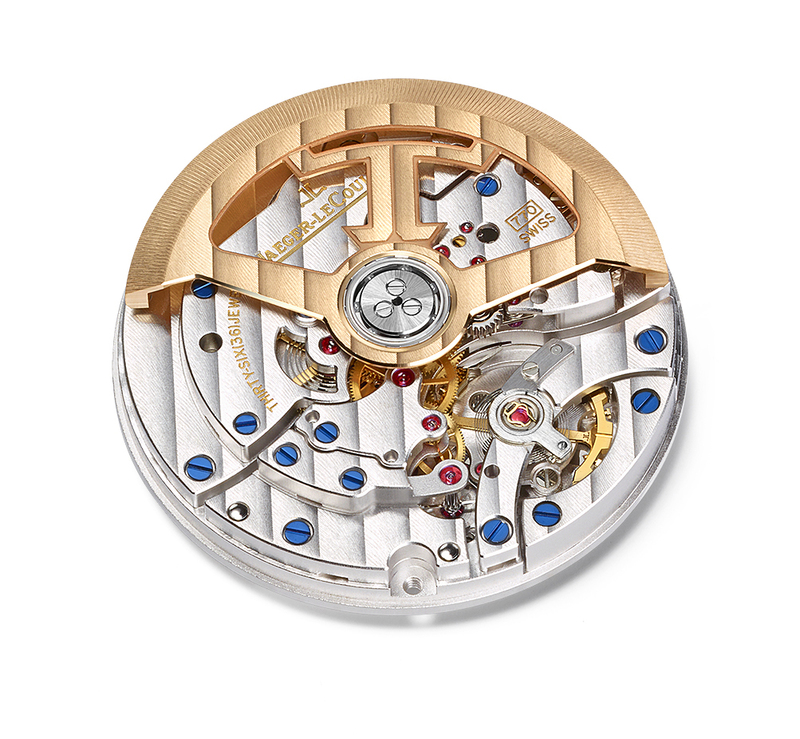 True seconds mechanism involves an extremely sophisticated construction whose effectiveness is expressed on the dial by a pleasantly rhythmical reading of the seconds. 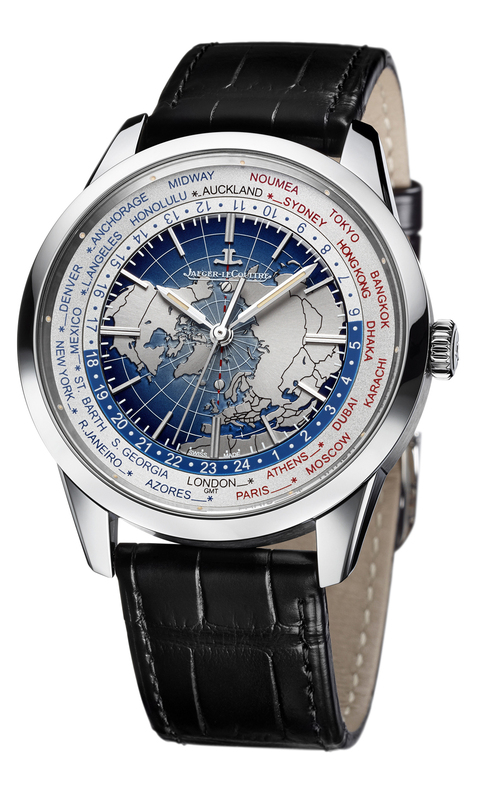 This specific expertise, which has been mastered by the Maison since the 19th century, testifies to the authentic instrument-worthy nature of the Geophysic. 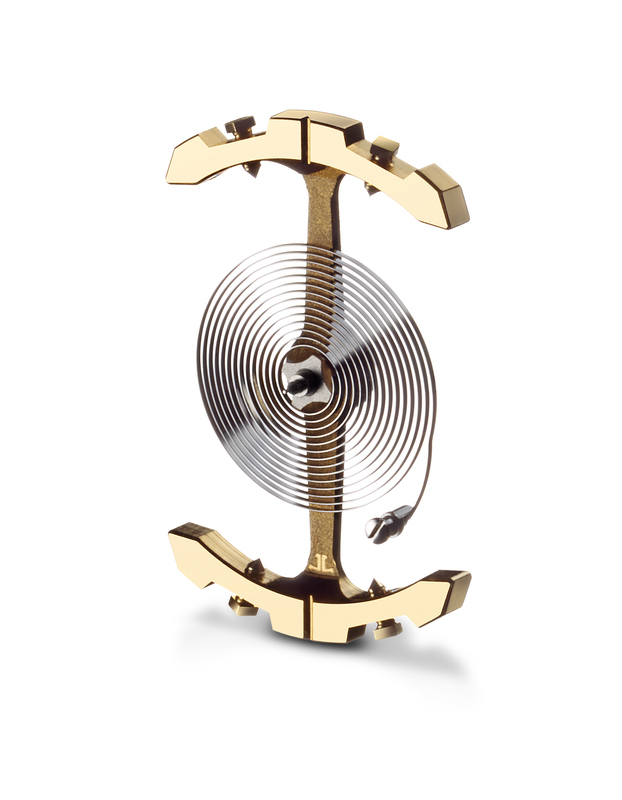 The remarkable calibers driving the Geophysic line are the first to feature an oscillating weight crafted from a single block of solid gold bearing the 'anchor' motif (itself echoing the shape of a escapement lever) that is also the Jaeger-LeCoultre logo. 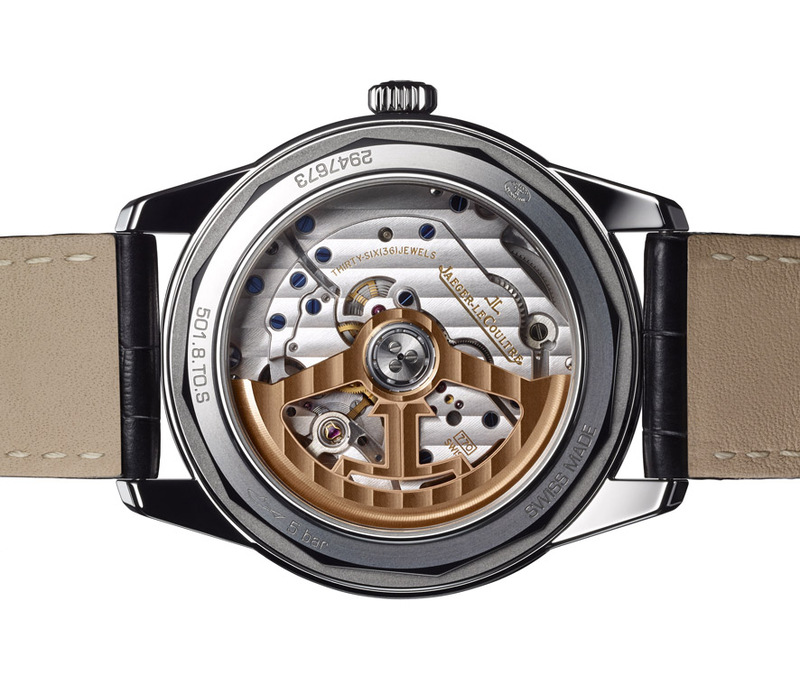 Strategically cut out and more open than a classic weight, it enables the eye to reconstruct the movement that it generously reveals in the course of its rotations. The case, in stainless steel or in 18kt rose gold, measures 39.6mm x 11.7mm. It has double sapphire crystals and it is water resistant to 50 meters. Movement is the Swiss automatic Jaeger-LeCoultre in-house caliber 770 with 36 jewels, 28,800 vph and a power reserve of 40 hours. Functions are: hours, minutes, true seconds and date. It is adjusted in an extremely intuitive manner. The crown in its neutral position winds the movement, while position 1 serves to set the jumping hours corresponding to the city where the wearer is currently located, as well as the date, and position 2 controls the hours and minutes. The dial is silver-toned, grained, with applied hour-markers and baton-type hands with SuperLuminova. It comes on a black or brown alligator leather strap with an 18kt rose gold pin buckle or a steel folding clasp. 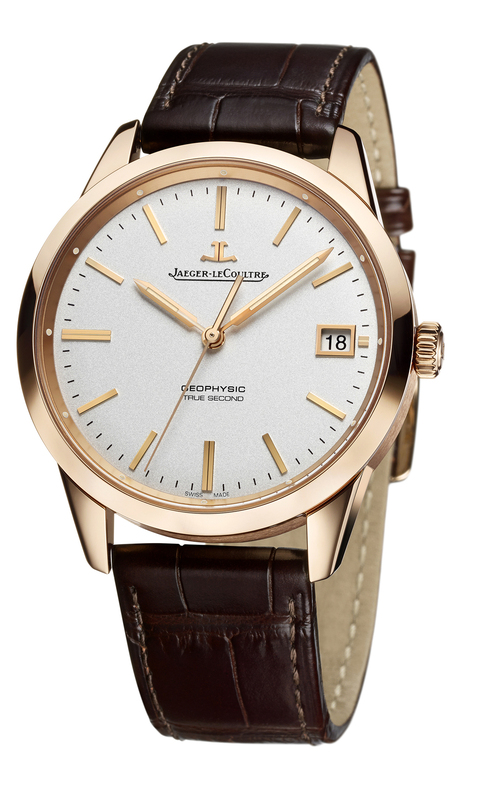 The case, in stainless steel or in 18kt rose gold, measures 41.6mm x 11.8mm. It has double sapphire crystals and it is water resistant to 50 meters. Movement is the Swiss automatic Jaeger-LeCoultre in-house caliber 772 with 36 jewels, 28,800 vph and a power reserve of 40 hours. Functions: hours, minutes, true seconds and world time. The city disc with its perfectly readable names is fixed so as to help users get their bearings. The eye soon becomes accustomed to seeing London at 6 o'clock and Hong Kong at 2 o'clock. Epitomising an absolute determination to promote simplification, the time is adjusted via the crown and no longer with a pushbutton. Once the universal time has been set, there is no need to adjust it while crisscrossing the world. Travellers need only adjust their own time. Local time is automatically adjusted simply by moving the hour hand forwards or backwards, independently of the minutes and seconds to as to avoid any loss of precision. 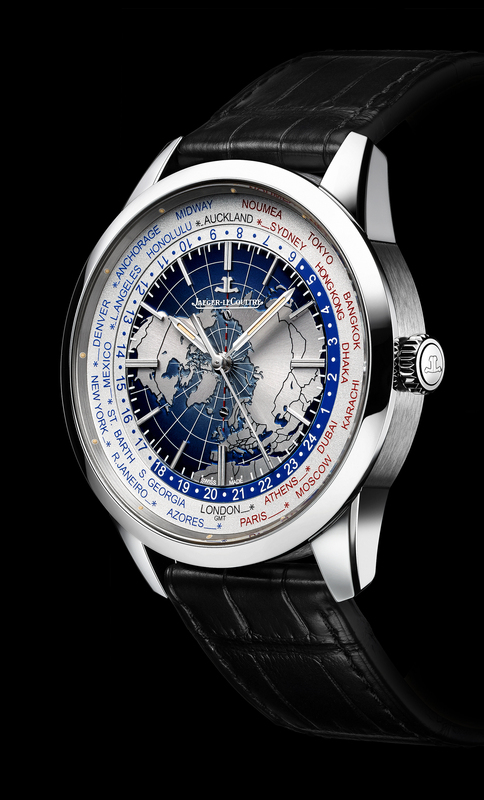 The dial is blue-lacquered, with applied hour-markers and baton-type hands with SuperLuminova. The sea is depicted by subtly graded lacquered shades of blue, while the engraved continents are graced with a magnificent sunburst finish. The planisphere remains in a fixed position, which means it can host the hour-markers. This enables simultaneous readings of the time in all 24 time zones by means of its mobile disc. Previous Topic: Have great week.